Last year, I sold my business. For over 14 years I grew it without investment to the point when it was the largest UK-based provider of board portal technology. It had a presence in over 30 countries, a global workforce of nearly 70 people and counted some prestigious brands and progressive public sector bodies among its clients. When you start a company, you don’t have a lot of people, so you end up doing a lot of things that aren’t a CEO’s job. But once you’ve grown to the point where you have a big enough team, you can delegate every task. Now you’re left thinking about the big things like culture and how to build and manage your team. But I was an accidental CEO, so I really didn’t know what that meant. Thankfully, The Advantage made it crystal clear. As CEO, the most important thing you can do for your business is to set out the vision. Once you have the vision of what your business is going to do, you can align everyone around it. Traction was a revelation because it gave me the methodology to run my whole business. By implementing the Six Key Components™ of a business – vision, people, data, issues, process, traction – you build a holistic, self-sustaining Entrepreneurial Operating System®. I also like it because my new business Process Bliss is largely about satisfying the process component of Traction. Any team that accidentally falls together has disharmony and this can be massively destructive. The Five Dysfunctions of a Team is a really simple model for overcoming that conflict. Disharmony is ultimately the result of trust issues. When you have trust, you can have healthy conflict and properly debate things because you trust that person to listen to your argument and not shoot you down. And you need this debate to get commitment. If someone agrees to take an action because they’re afraid to argue with you, it’s more likely that action will be lost or forgotten. But if the action is born from healthy conflict, they’re more committed to getting it done. Then this commitment leads to accountability. Now, when someone agrees to take an action, the team expects them to follow through, which is when you start seeing results. People make a fortune out of team-building, but when you boil it down, it all comes back to trust. The book’s simplicity is fantastic and shows you how to turn those conflicts into a business asset. This genius book helps you to understand how a business needs to be run. It’s a good preface to Traction, because it leaves you thinking “That’s all wonderful, I want to run my business like that”. But I have to say, I think Traction is better because it tells you the methodology for making it happen. This one’s a bit different. The author was a Captain, put in charge of one of the worst submarines in the navy with an utterly useless team – but ultimately he turns it around. It’s a typical example of many businesses where the boss has dictated how everything works – only it never works because one person isn’t that smart. Once you have a business that’s 30 people strong, you need to tap into the talents of those people because they’re far smarter than you are – and that’s exactly what the Captain did. When someone tells you they intend to do something, they’re telling you that they don’t need you to get involved, and you don’t need to check up on them because they’ve thought it through. By making this small but important change in my business, I saw junior people taking responsibility for some major decisions. Based on an Olympic rowing team’s journey to gold, the whole ethos of the book is great. Plus, I feel I’m currently in this position with Process Bliss. And it wasn’t just about the training schedule, it was everything – what they had for breakfast, what time they had breakfast, how much they slept… Every decision was made based on whether it would make that boat go faster and win them first place on the podium. By employing their ethos and thinking about whether each action is getting us closer to our 1/3/10 year targets, decision making is far easier. Yes, I have a bias here because of my interest in process, but The Checklist Manifesto is almost the preface to Process Bliss, because it shows the power of checklists. Previously,we’ve talked a lot about checklists being seen as boring and controlling, but they’re not; checklists enable people to do a really, really good job. As well as being a CEO I’m a pilot, and the book talks a lot about checklists for pilots, which are actually well thought through. The book says it’s not always about having the longest checklist; it’s about having the briefest checklist with all the relevant steps the pilot needs to know for sure. So for example, in an emergency you don’t need to tell a pilot to return to the airport, he knows that – fill his checklist with every single step and he’ll never follow it. But tell him the essential steps and suddenly the checklist is something he can’t operate without. In all honesty I thought I was going to hate this book because it’s quite old-fashioned and not really for SMEs. However, I now wish I’d read this book before making some tough decisions in my previous business. The book talks about how big businesses can’t develop small businesses within them. The big business is always more important, and will therefore draw the best people and the most resource; the small business will always end up starved. 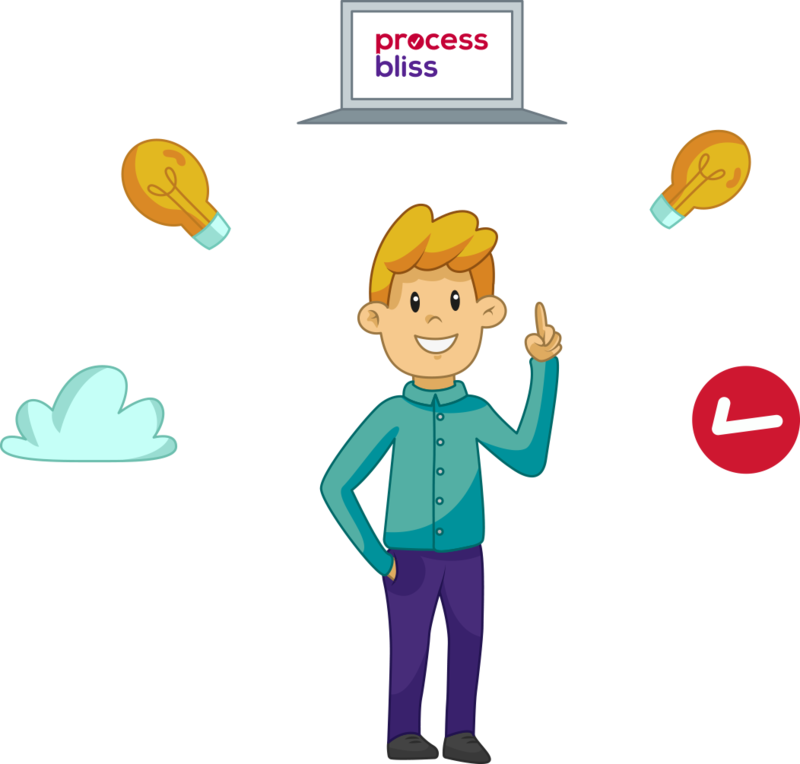 I tried developing Process Bliss for years within my old business. But eShare always had to take priority. It meant that years could go by when I did nothing to develop the product further. And in the end, someone beat me to it – although now I believe we’ve ended up with a better platform. And selling my previous business was the right thing to do, because it meant I could focus on Process Bliss properly – reading The Innovator’s Dilemma validated that decision. I’d reply, “We just go out and sell to people” – apparently that’s not a sales process. But I questioned whether you could ever really have a sales process; sales is too clever for a defined process because the person you’re selling to might act differently every time so you can’t force them to do something. I was wrong. The Sales Acceleration Formula is great because it provides you with a framework for setting up a sales team, covering everything from recruitment through to inbound sales leads. When you read it, the book is validation that all the things you try to do as a CEO, like being humble, setting a good example and putting your team first, are great. But the thing I really love about it, is that it’s an amusing book; we’ve all seen those people in business and know they should fail, but this book tells us why, so we don’t make the same mistake(s). As a man who finds it funny that the Institute of Actuaries is threatening to put him on trial and exile him from the organisation, I really don’t think status matters to Alister. I can honestly say Alister is a straight-talker with no hidden agenda. He doesn’t mince his words, always telling you when he doesn’t like something and why – but he’s equally happy to receive that honest feedback, however critical. A need to always be right isn’t in Alister’s nature. He’s a natural risk-taker and encourages you to do the same. One of the things he’s always stressed to me is that it’s ok to be wrong, as long as we’re learning from it. Alister is a bit of a perfectionist, and he knows this can only be achieved through some healthy conflict (see book 3). But, this conflict must stem from forceful debate to ensure the organisation continuously improves. You can ask Alister any question and he’ll give you an honest response. I’ve had many conversations with him that others would deem ‘sensitive’ about the business, employees or clients, but he has nothing to hide, and trusts you to act in the best interests of the business. Annoyingly I’d have to agree. I really wanted to say he’d fallen-foul of at least one temptation. But the reality is that Alister is a great entrepreneur, with incredible drive and passion, and ultimately a great CEO (I wouldn’t have agreed to work with him again otherwise!). Will we see you at The Business Show? On the 15 – 16 May Process Bliss is heading to The Business Show. If you haven’t yet signed up to attend, do it now – tickets are free, and it’s an amazing day out of the office. Pop by our stand number 1124 to say hello, and we might even have some good business books to give away!